A country’s flag is a distinctive symbol of the country it represents, much like a trade mark is a badge of origin for a business. The future of our national symbol is up for debate, and on 20 November 2015 we will be given the opportunity to pick our preferred alternatives to the current flag design via the Government-led Flag Consideration Project. 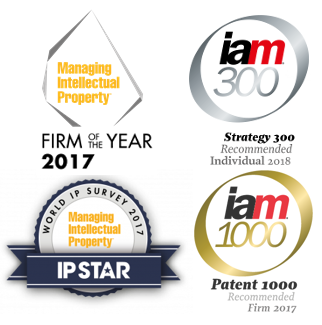 This article discusses how one of the shortlisted designs, Alofi Kanter’s Silver Fern (the Kanter Flag), raises issues from an intellectual property (IP) perspective. NZWL is owned by the government, its shareholders being New Zealand Trade and Enterprise (NZTE) and the NZ Tourism Board. Operating through the New Zealand Story Group (NZSG), NZWL’s purpose is to provide and manage an online library of images and recordings. The NZWL Silver Fern Trade Mark is entitled to be used by two different groups, the first being government-owned entities including NZTE, Tourism New Zealand, Qualmark and Air New Zealand. New Zealanders may recognize the NZWL Silver Fern Trade Mark on Air New Zealand’s fleet, or even from the 2003 America’s Cup Yacht. The second group is made up of New Zealand private businesses which meet the strict criteria relating predominantly to their good character and repute, and their New Zealand made products. These business are all exporters. Under the Flag Design Terms and Conditions of the Flag Consideration Project, the intellectual property and moral rights in the shortlisted designs have been assigned to the Crown. If the public votes to keep the current flag, the Crown will still retain those rights to the shortlisted designs unless the designer of any part of that flag requests that the rights are re-assigned back to them. If one of the shortlisted designs is the ultimate winner, New Zealand individuals and organisations will, as has always been the case, be able to use that design in advertising or for commercial purposes in New Zealand and abroad, in accordance with the rules and protocols established by the Ministry for Culture and Heritage. The Ministry notes that individuals seeking to do so should contact the Ministry to discuss their ideas first. It should also be noted that there is no provision in the Flags, Emblems, and Names Protection Act 1981 which expressly prohibits the use of the New Zealand Flag (although it is an offence to destroy, damage or alter the Flag in any way). The rules discussed above put the existing users of the NZWL Silver Fern Trade Mark in an interesting predicament. These users’ rights are very likely to be compromised, given that the NZWL no longer retains ownership and control over the intellectual property rights in the design. NZWL’s attitude toward the use of their trade mark as a candidate for the new New Zealand flag is in direct contrast with the stance taken by the New Zealand Rugby Union (NZRU). 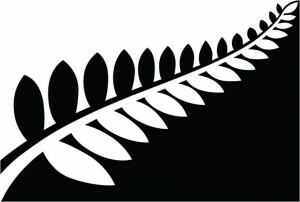 The NZRU declined to approve their silver fern trade mark for use during the design submissions process. Undoubtedly, it would have been undesirable for the NZRU to assign or authorise the use of its trade mark in a way that diminished the commercial value of the mark or interfered with the rights of the existing authorised licensees from whom the NZRU leverages income. If the Kanter Flag is the ultimate winner, it is likely to pose a puzzling predicament for the existing users of the NZWL Silver Fern Trade Mark. We will be following the after-math of the flag referenda with great interest.